Ubuntu 17.10 "Artful Aardvark" is using GNOME but we cannot install GNOME Shell Extensions (GSE) from GNOME website by default. This happens because Artful doesn't ship with special feature "to connect" between the Extensions Repo and the Desktop. This short tutorial shows you how to install that feature and then install any GSE you love as you wish. Enjoy! This is a tutorial about 17.10. If you need another articles, read our beginner's guide or reviews. GNOME Desktop is similar to Mozilla Firefox in sense that you --the user-- can install add-ons (or, extensions) to add more functionalities to it. 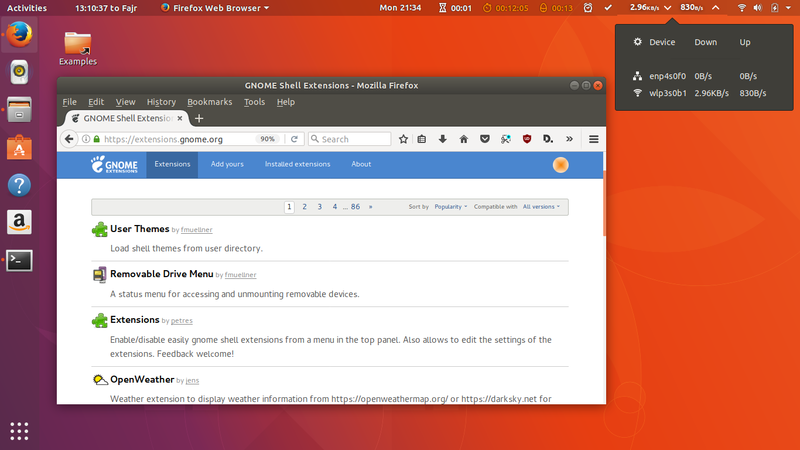 These extensions are called GNOME Shell Extensions (hence, GSE). 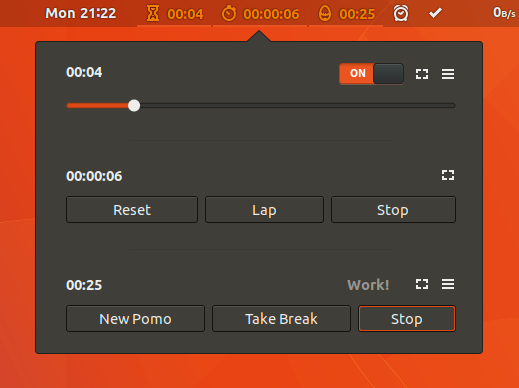 For example, suppose you want to record your desktop activities as video, you can install EasyScreenCast extension. 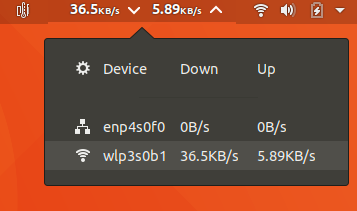 Another example, you can also install NetSpeed Indicator so you can always see your download/upload speed right on the GNOME panel. We GNOME users install such extensions by clicking buttons at the GSE website. This is the "connector" between our web browser, the GNOME Desktop, and the GSE Website that works inside your Ubuntu system. This works with Mozilla Firefox and Chromium/Chrome. This is the "connector" that works inside your web browser. Go to GSE website and it must show "Click here to install browser extension". Click that link and it should ask you to install it. Click Allow. Finally browser will ask to Add it. Click Add. Starting from this you can go install GNOME Shell Extensions! Now you have all the requirements. 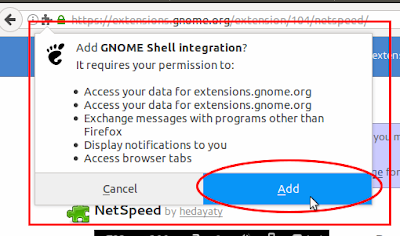 Go to https://extensions.gnome.org and find Extension you like. If you find a lovely one like NetSpeed then press ON the toggle button and press Install button at the dialog. Let your browser download it and leave the rest to GNOME so you finally see the Extension appearing at top panel. NOTE: not all extensions will appear at top panel. You can manage all installed extensions using GNOME Tweaks. NetSpeed (again, of course): to show upload/download speed in realtime. 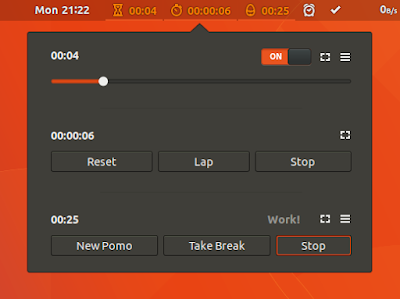 EasyScreenCast: to record your desktop screen as video. RSS Feed: a news reader. Time ++: I highly recommend this because it's a complete tool as timer, alarm, pomodoro, and todo. Clipboard Indicator: for KDE users this is what you need to replace Klipper. Ping Indicator: to show ping time results in realtime on top panel.